What is a rare or fad French Bulldog color, and why is it not permitted in our breed? 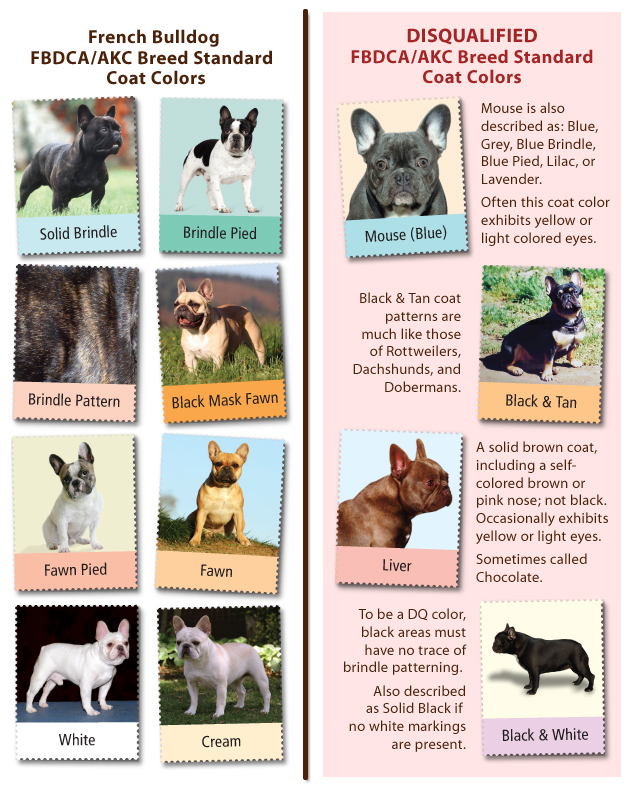 A fad color is a coat color disqualified by the CKC French Bulldog Breed Standard. The ONLY acceptable colors for the French Bulldog are: "all brindle, fawn, white, brindle and white, and any colour except those which constitute disqualification." Some of these fad colors are blue, liver, mouse, and black/tan.These colors are also often referred to as rare colors, so that they can be sold at over inflated prices. A reputable and responsible Frenchie breeder should only breed dogs conforming to his or her country’s parent club French Bulldog Breed Standard. No responsible breeder would breed against their breed standard. •protect the work of the many outstanding and responsible breeders who adhere to our breed standard. 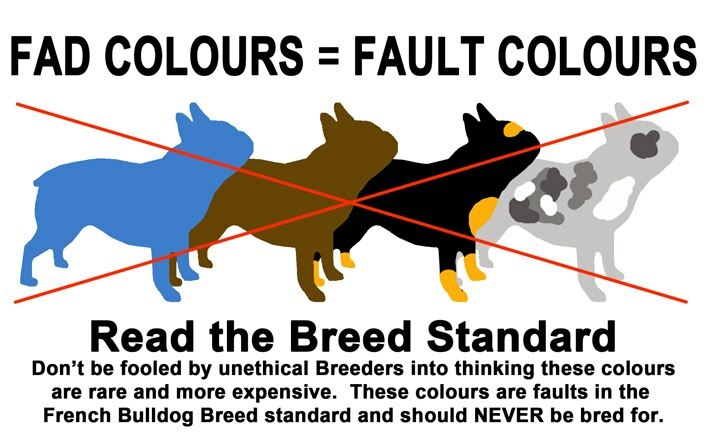 Those irresponsible breeders who breed for and advertise rare colors are intentionally spreading unacceptable color genes through the gene pool and causing problems for reputable breeders whose main concern is to produce quality puppies that adhere to our Standard. Image Courtesy of French Bulldog Club of America.